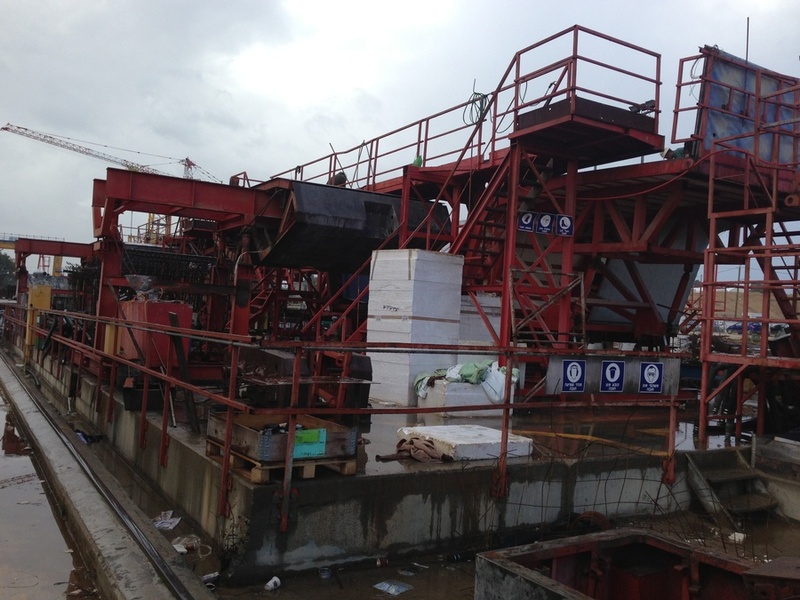 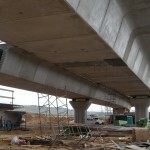 This $68 million project is a twin precast concrete segmental bridge and has a total length of 314 meters. 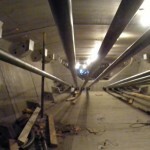 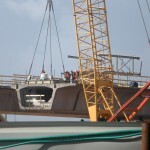 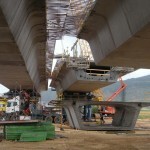 The five spans for the bridge range in length from 38.5 to 60.0 meters at a maximum distance above ground of 6.5 meters. 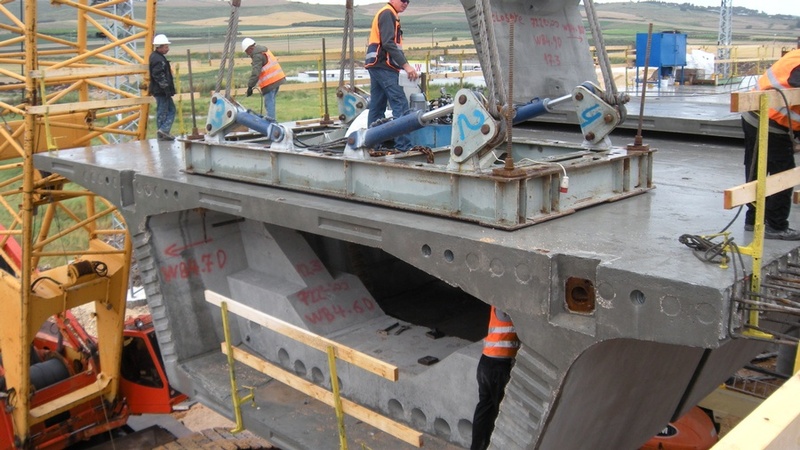 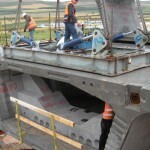 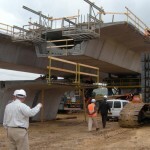 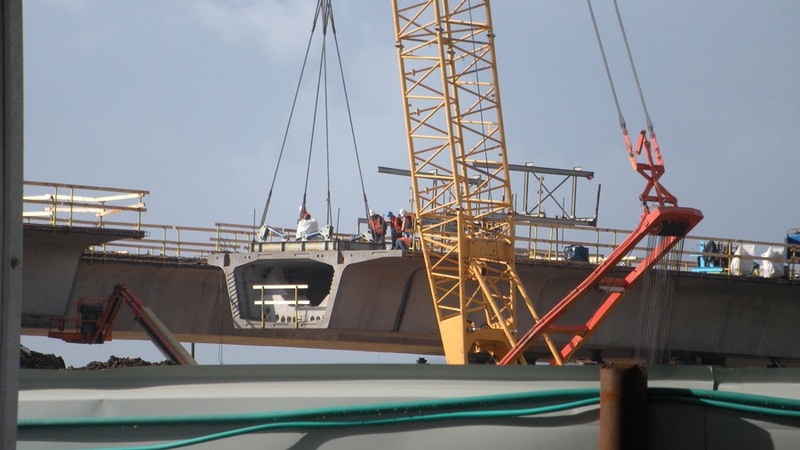 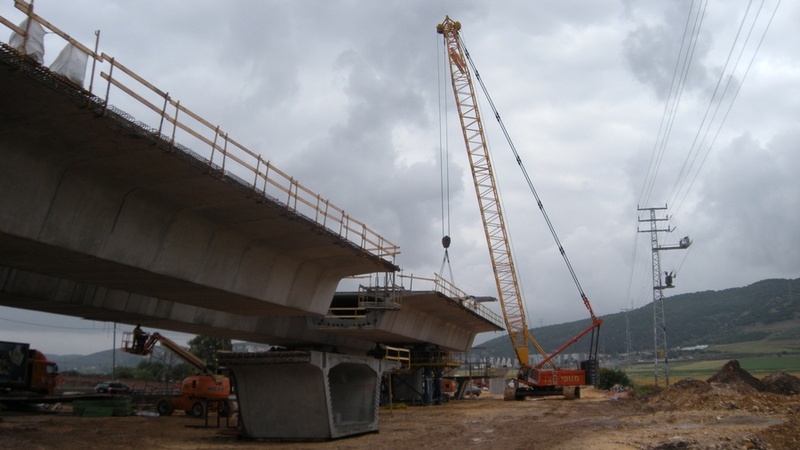 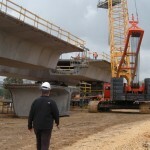 The 200 segments for this bridge were erected using the balanced cantilever method with groundbased cranes. 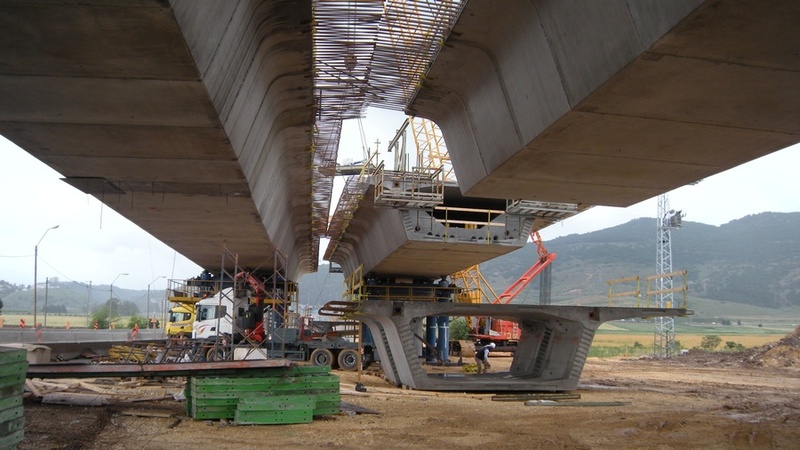 This bridge was also located in a seismically-active region. 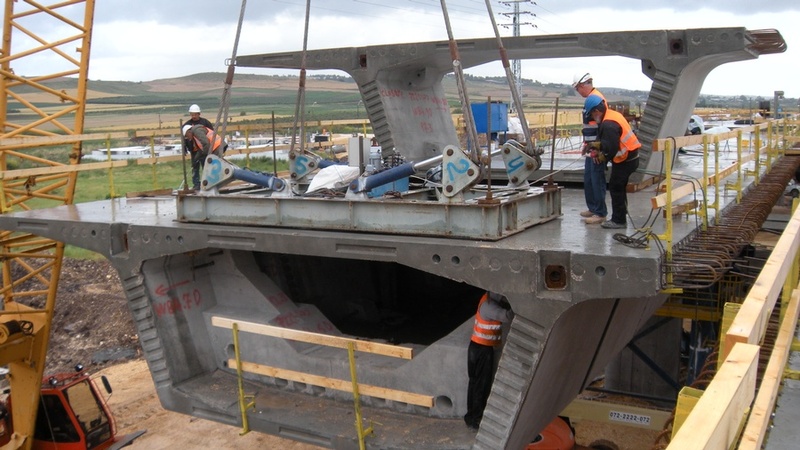 FINLEY performed seismic analysis, incorporating isolation bearings to reduce the overall seismic demand. 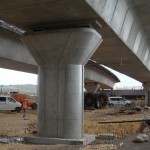 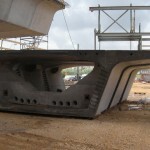 This required a unique feature in this bridge, the box girder width transitions from 10.1 to 12.3 meters, which is created using two box girder lines connected by a precast rib and cast-in-place longitudinal closure strip. 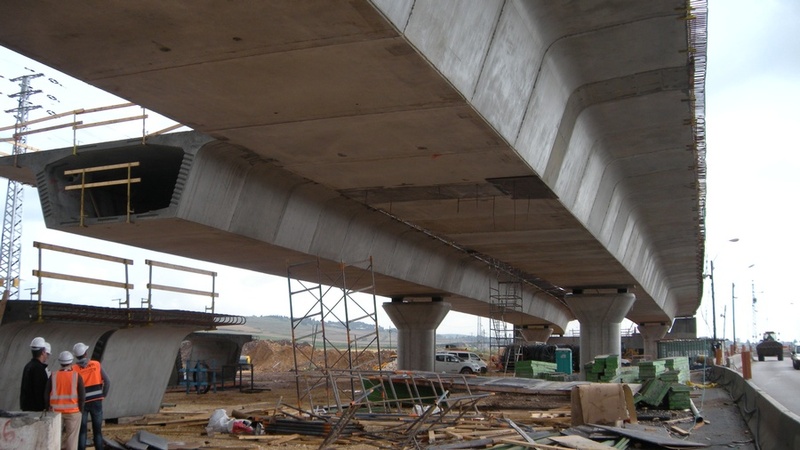 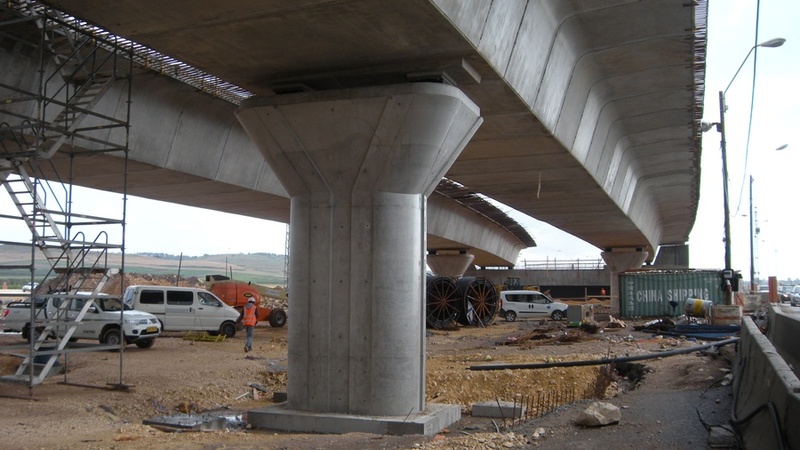 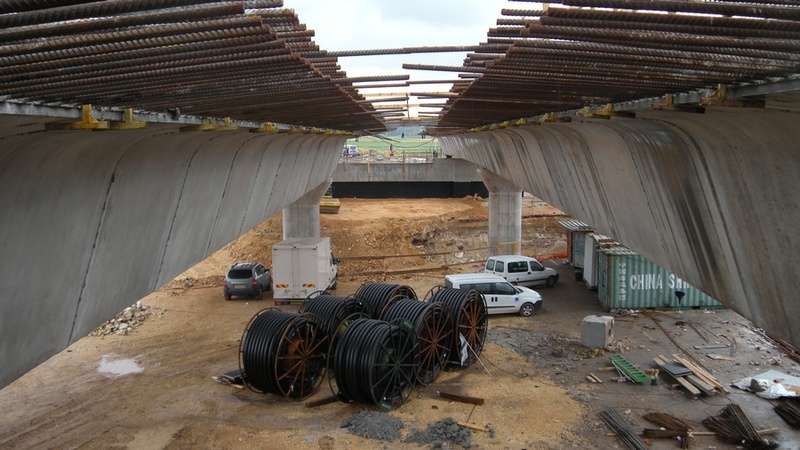 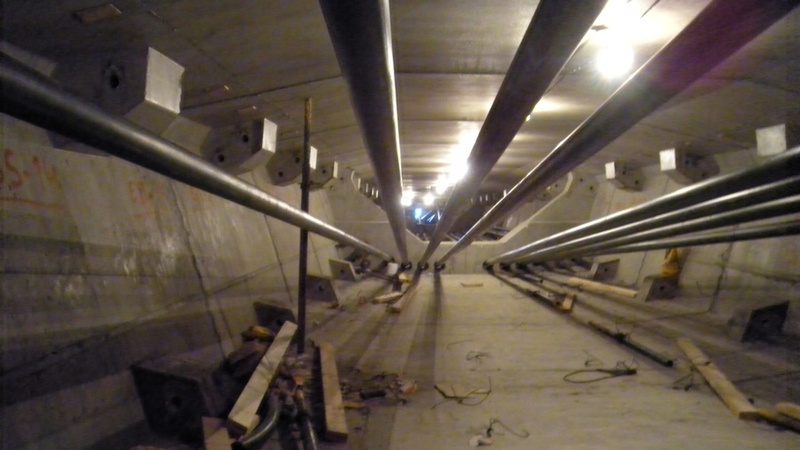 This project included overall bridge variable geometry from 20 meter to 30.5 meters, using a variable width longitudinal cast-in-place concrete closure strip. 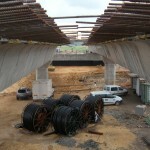 The roadway geometry through this bridge is complex with merging roadway lanes and varying superelevation. 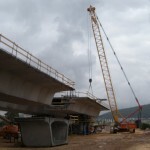 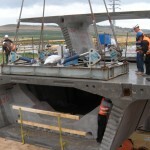 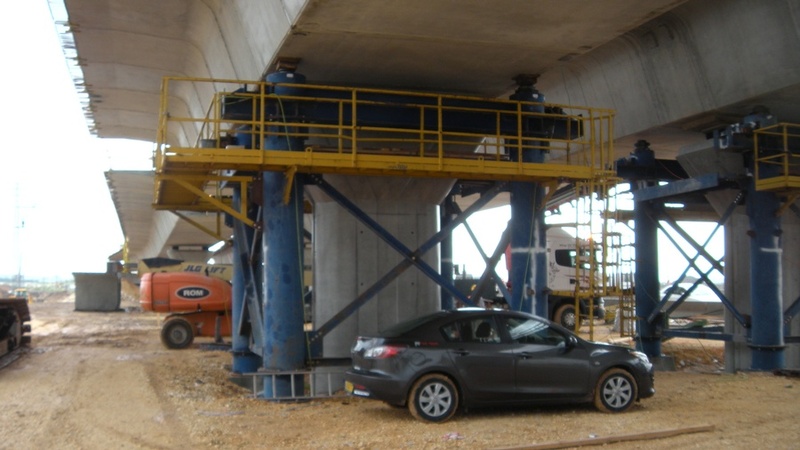 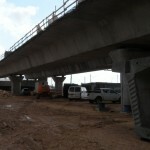 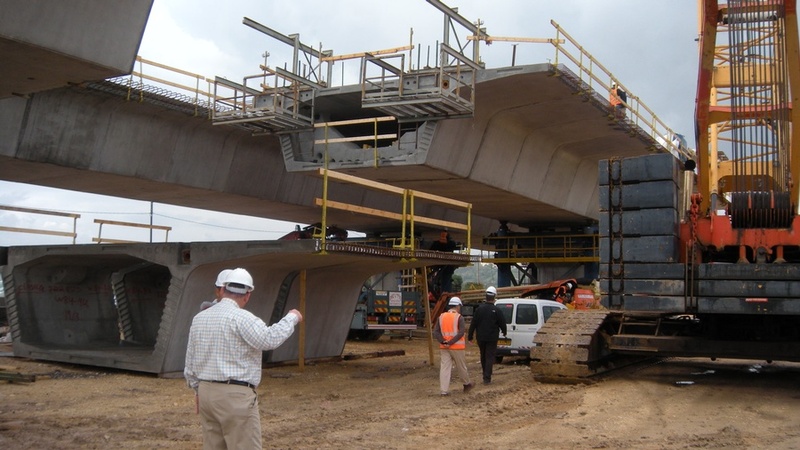 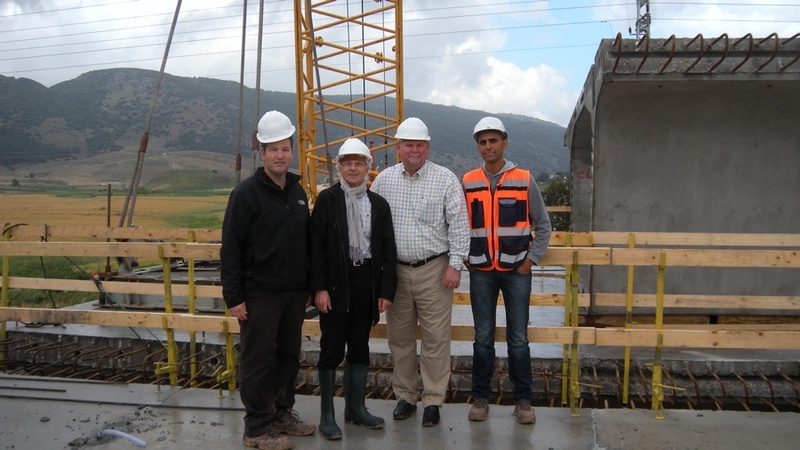 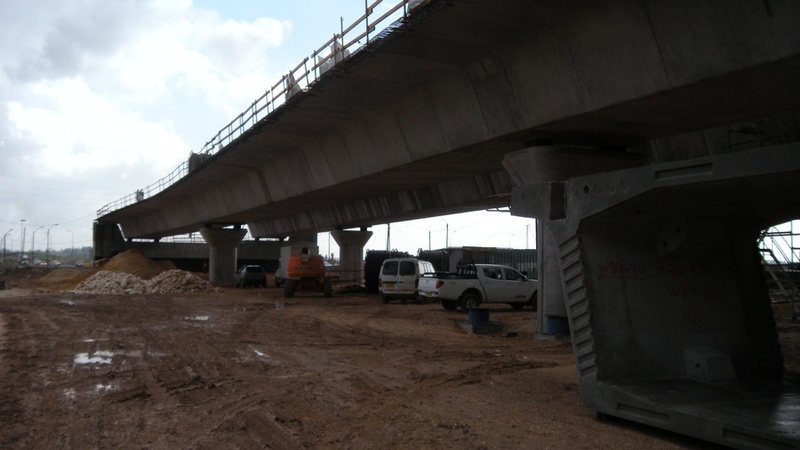 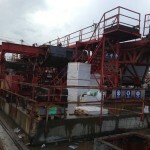 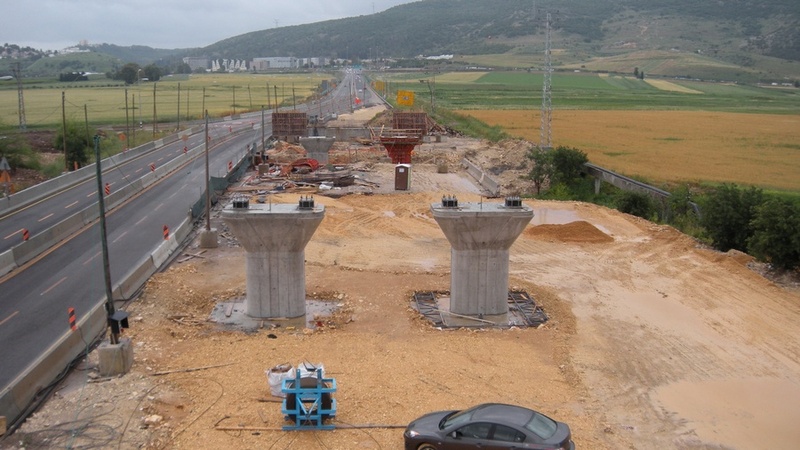 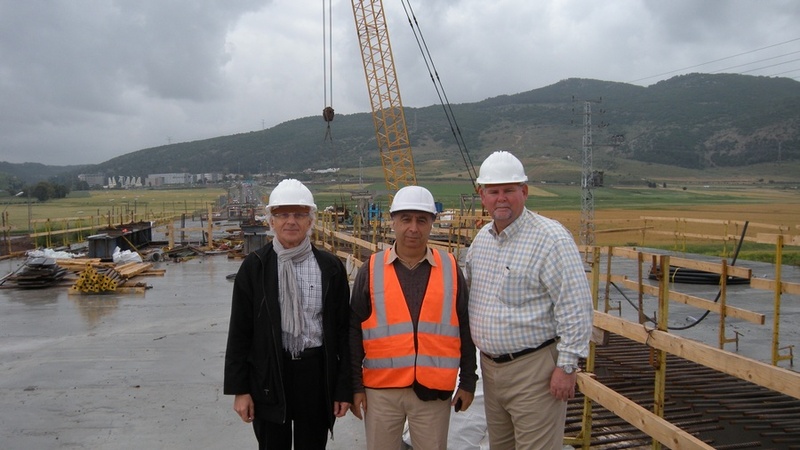 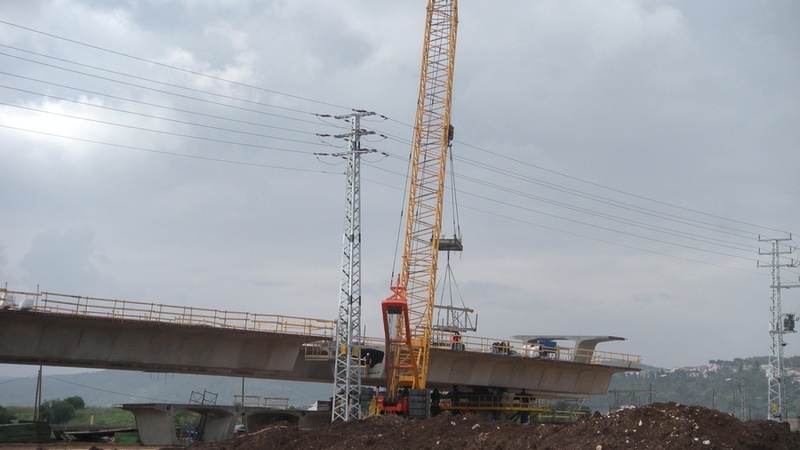 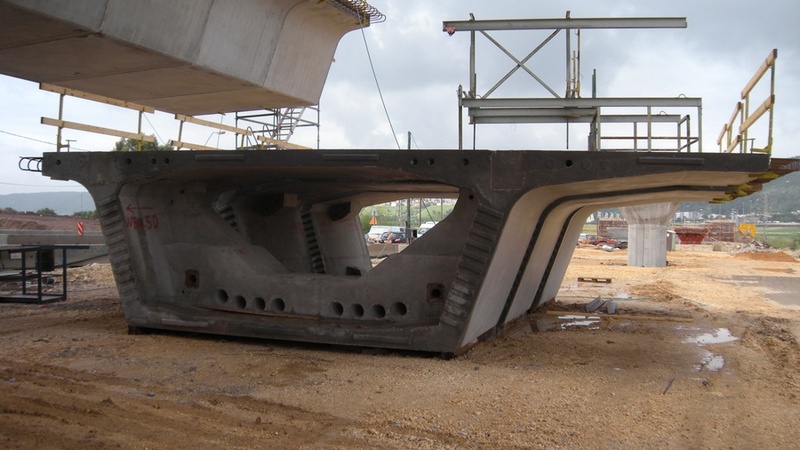 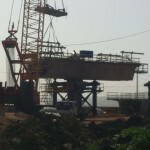 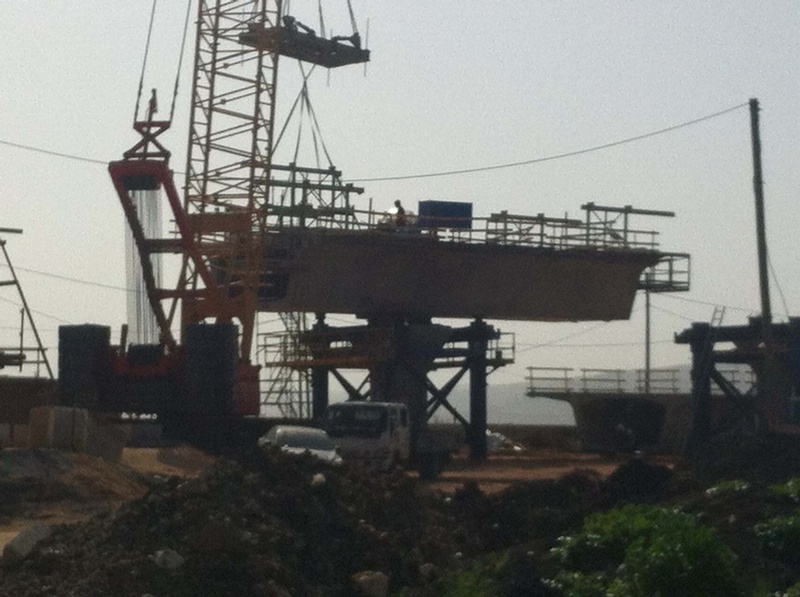 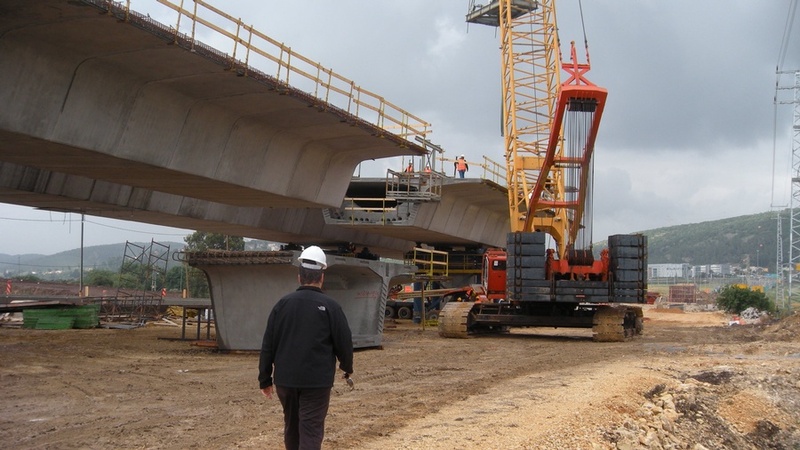 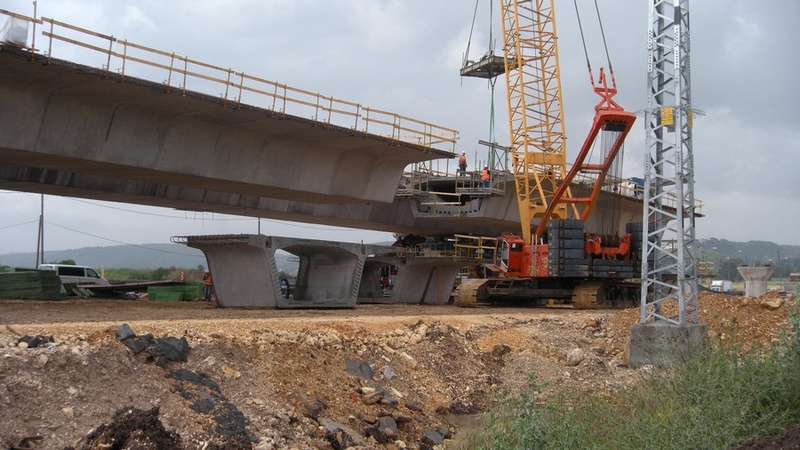 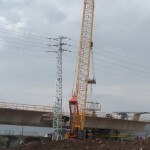 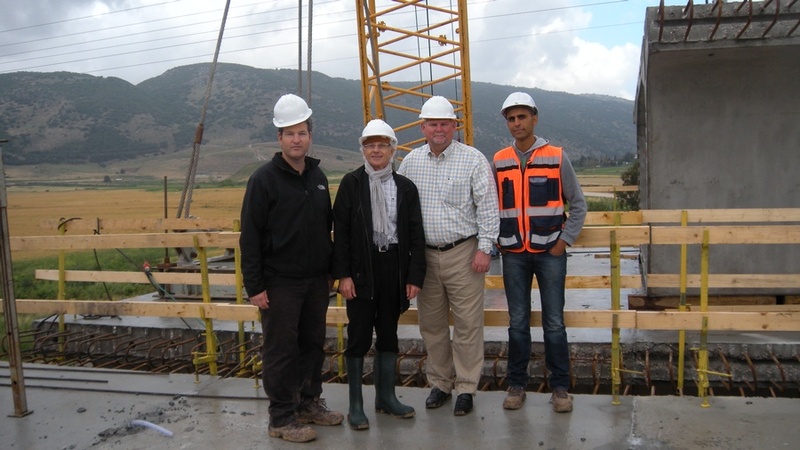 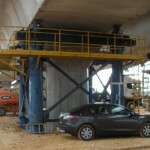 The Road 722 Bridge is based on adapting the same cross section, casting machines, equipment, and erection method that FINLEY developed for Danya-Cebus and used on the Road 431 (5 bridges), Section 18 Interchange (6 bridges), and Benyamina Bridge (2 bridges) segmental bridge construction projects in Israel, totaling $471 million.